This year seemed to show a lot more down-to-earth solutions, basically lots of companies demonstrating how their product can aid in the everyday life. Have a look at the Day 3 IoT World Highlights to get an idea. My overall impression was that this conference had matured and companies were starting to demonstrate product as opposed to just talking about the connected world. There seemed to be quite a few companies demonstrating “the parking garages problem”. This obviously seemed to be something that many can relate to and a simple way to connect devices, sensors, and cameras to identify empty spaces. 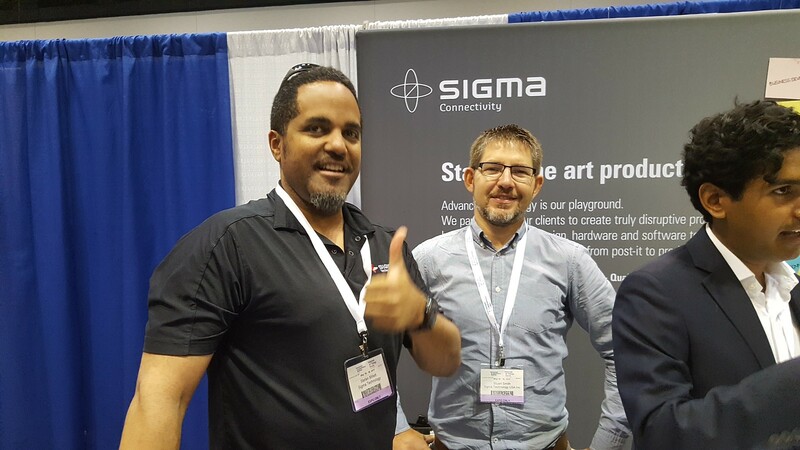 Sigma Connectivity had their booth close to the developer stage and demonstrated their devices. Overall, there seem to be many companies making prototypes or manufacturing for other companies now. I watched a seminar about how companies can take proof of concept into production in under 3 months. There were obviously the big players there with lots of floor space like Google, HPE, Samsung, Ericsson, but also many smaller innovative companies and startups. Learn more about IoT World conferences.